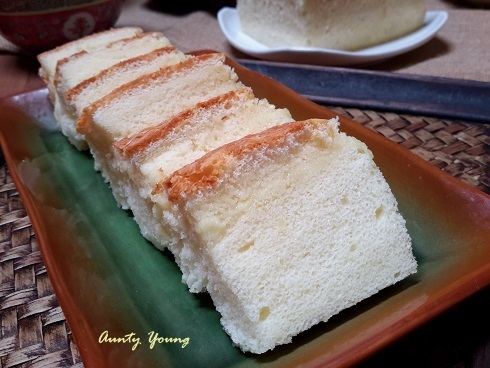 I believe most of you know about this highly popular cheesy cake. It has been flooding my Facebook feed every day in a short time. Most of my baking friends have tried baking it. 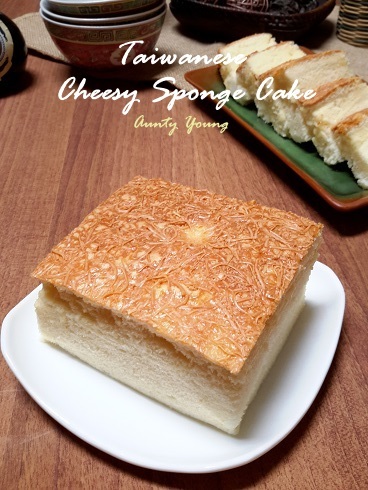 Some said it is full of cheesy aroma and fantastically yummy! besides the addition of a lot of cheese. I never thought about jumping onto the bandwagon. 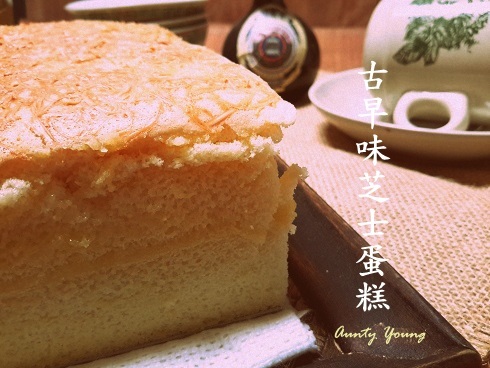 However, last week, I unintentionally saw this popular cake again through Jenny's Delicacy blog. According to Jenny, she had baked 2 pans of cake within 3 days. So.......it must mean the cake is delicious and her family really likes it, right? 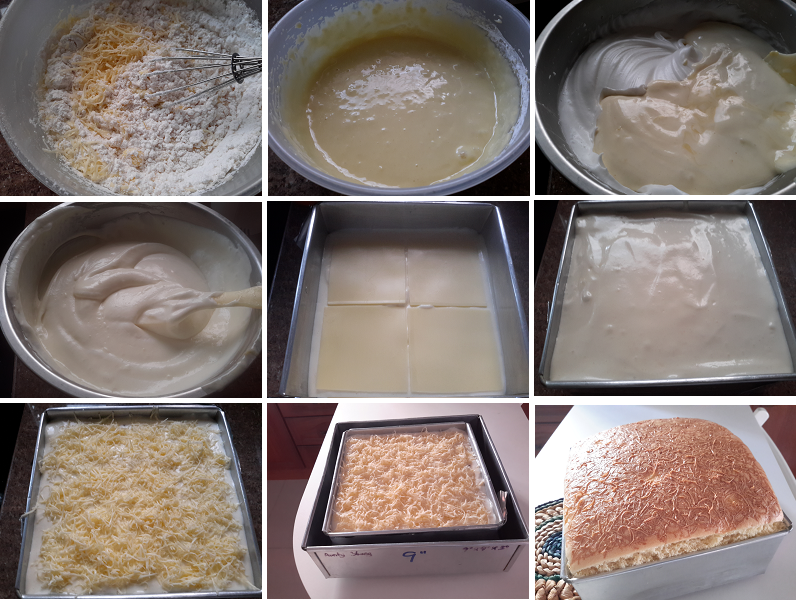 Based on this extremely positive feedback, I was motivated to give this cake a try. 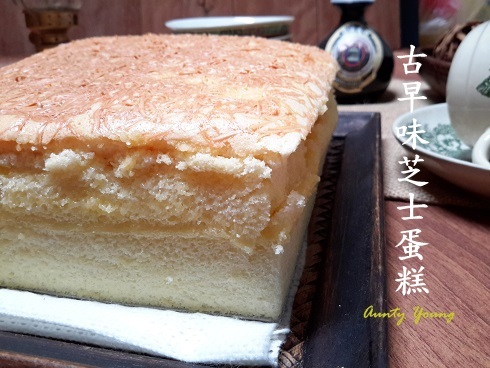 As Jenny said, this cake really fills the kitchen with a lovely, cheesy aroma as it is baking, causing you to feel like you can't wait to sink your teeth into it. Absolutely mouth-watering! 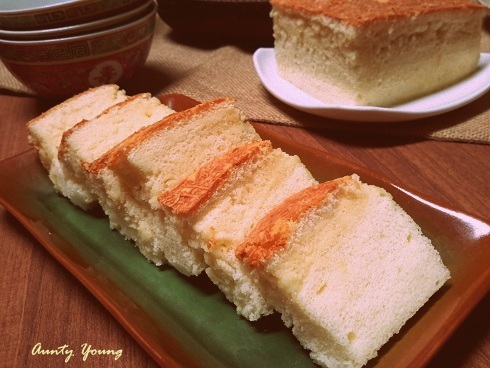 Original recipe scattered Parmesen Cheese powder on the surface of the cake. But I substituted it with shredded Cheddar Cheese, since I only have that in my fridge. 1. Use a hand mixer to beat the egg yolk for about 1 minute, then add in fresh milk and corn oil and mix well. 2. 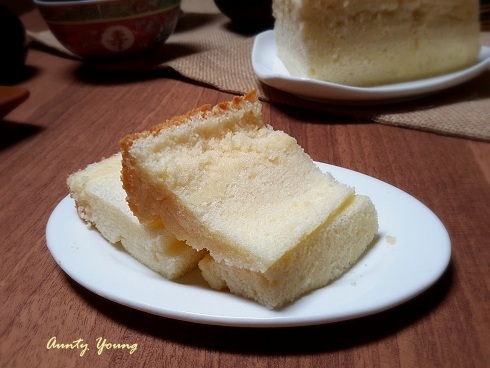 Add in sifted cake flour, stir-mix for a while, then add in shredded Cheddar cheese before continuing to stir-mix until the mixture becomes a smooth egg yolk mixture. 6. Pour 1/2 of the batter into the pan and place 4 slices of Cheddar cheese on it. Pour the remaining batter on it, spread evenly and scatter some shredded Cheddar cheese. 7. 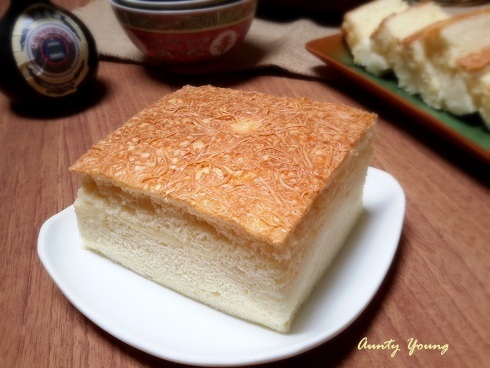 Using steam bath method, bake with a preheated oven at 150°C for 60 minutes. 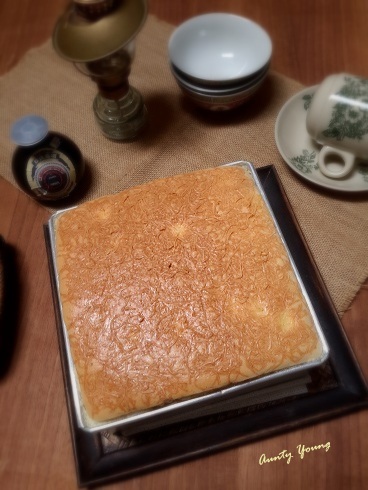 I used size A eggs to make this cake, but realised after baking that it made the volume too large, hence I would suggest using size B eggs instead. 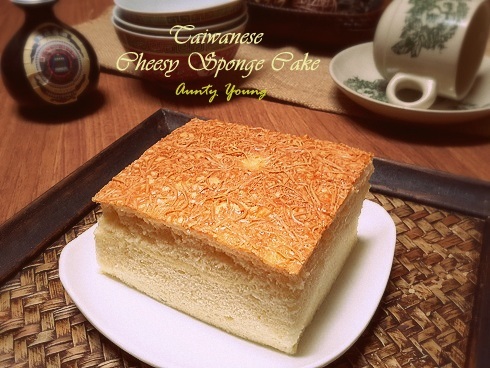 I purposely applied the nostalgic filter to the 3 pictures above to suit the name of the cake(古早味芝士蛋糕). Can you feel the nostalgic vibe? May I know what is the weight for four pieces of cheddar cheese?